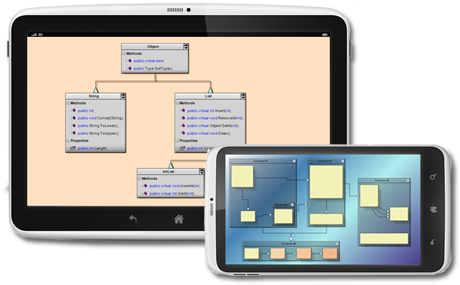 The control can load and display any diagram, flowchart or graph created with any MindFusion diagramming component for desktop and web and exported to XML. MindFusion diagram viewer for Android provides your mobile application with useful methods for simple hit testing from touch events as well with access to the loaded links, nodes and their data properties. MindFusion Diagram Viewer library is free of charge for anyone who has a license for a MindFusion diagramming component. You can download it immediately and use it to show your diagrams on any Android device.